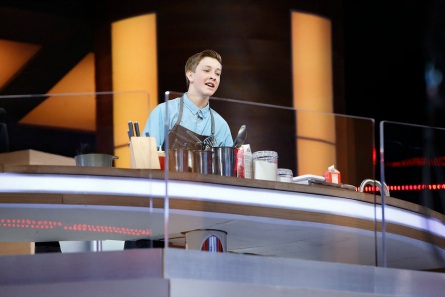 The home cooks surprising Richman the most this season, he said were a 12-year-old and a 14-year-old. He was impressed by their “resilience” and their knowledge of ingredients. 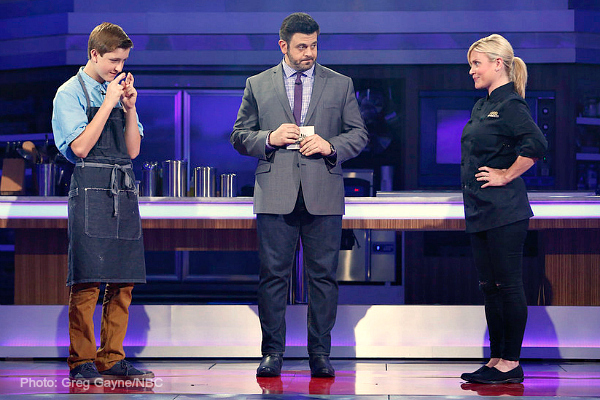 “Food Fighters” is introducing for the first time, child cooks. Richman gave reporters a sneak-peek at the background of the kids. One child, he said, is a professional cook. There is one girl who is 12 from Maryland, and one boy who’s 14 from California. The girl got into cooking when her mother got cancer. She started cooking at age 4. Richman said she wanted to find a way to make food delicious again for her mom. The 14-year-old boy grew up around restaurants. On “Food Fighters”, he was making things out of nitrogen and says his ambition is to work for the C.I.A. Each contestant must win over the food tasters. The food tasters are made-up of a group of five people who sit at a table in a separate room that taste the home cooks’ and the chefs’ dishes to decide the one that they prefer. The popular vote wins. Richman said there are really no requirements for these “food tasters”. 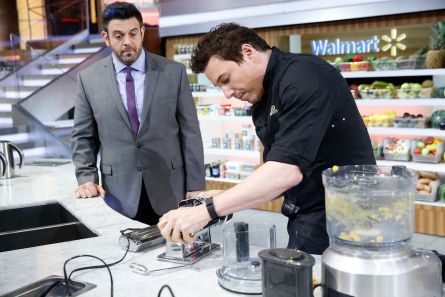 He stated, “they are just hard-working American folk who love food.” Richman said the home cooks deal with the pressure of cooking in 20-30 minutes wonderfully. As a professional cook the biggest challenge for Lorena, who also competed on the show last season, is having no idea what she’s making and having only 20-30 minutes. She said being able to work under pressure and “being able to figure it out,” are the biggest challenges. To see kids competing against adults and “to more than hold their own” Richman calls an amazing thing. He also observed that the kids are mature for their age and carry themselves well. 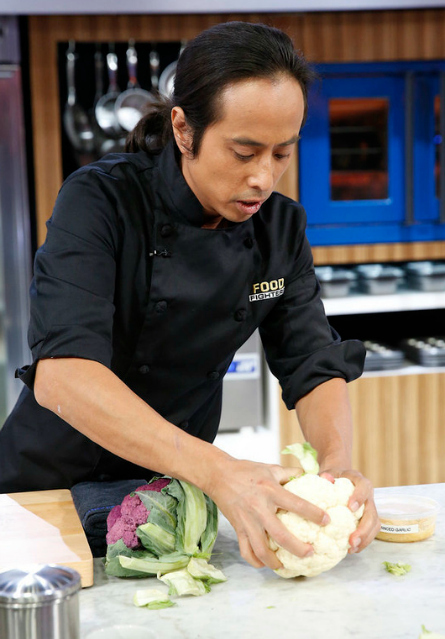 He said “it’s an awesome thing for kids to see.” There’s always a take away that viewers can be inspired by something that the home cook is doing on the show that they can add to their own pantry or do in their kitchen. The difference in competing with a child cook vs. adult? Lorena said viewers will be amazed at what the kids come up with and she was blown away. What’s the one ingredient that Lorena finds the most challenging? Lorena said if it’s a dish that she’s never heard before, and not so much about an ingredient. She recommends to have a good understanding of different dishes from different cultures. Richman said young talent should be nurtured and Rocco said when you are able to cook at a young age, “you take ownership of what you’re putting in your body and take ownership of the culinary world around you.” Richman added that cooking is the most beautiful way to pass down tradition. 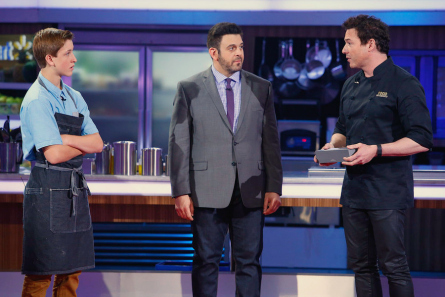 Does the show ignite that youthful approach to cooking? Lorena said yes and she’s always trying to take it to the next level. What do the chefs like about competing in this? Lorena said some people are more into the competition than others and says she does it for the experience, being with her peers, and having fun. “This work is so much about being in the restaurant” she said and it’s good to get out of there and have fun. How the chefs handled going against the kids? Richman responded with in the words of his friend’s Sensei “today I’m going to do you the honor of truly fighting you.” He followed-up that there was nothing malicious in it. He said the kids sounded so grown-up and mature. The chef from L.A. told one kid, ‘you’re the same age as my daughter and you seem like you have experience’ and wanted the kid to beat him. “Food Fighters” premieres July 2, on NBC.